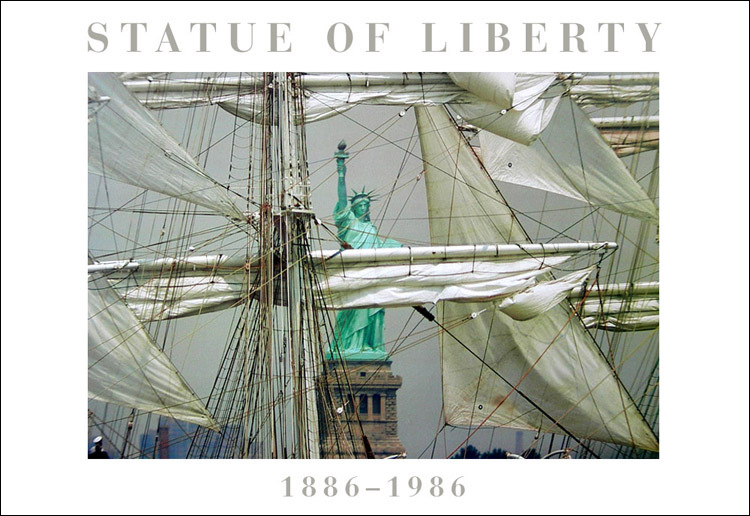 I N T E R A C T I V E / P R I N T/ M E D I A: B R A N D S I N P R I N T: P O S T E R S: "Statue of Liberty, Tall Ships"
"Best Selling Products in City! ": Posters -- A Collector's Edition, made their way to China, we were told, then were sold for several years thereafter at South Street Seaport, NYC. They were also entered into the National Monument at Ellis Island.